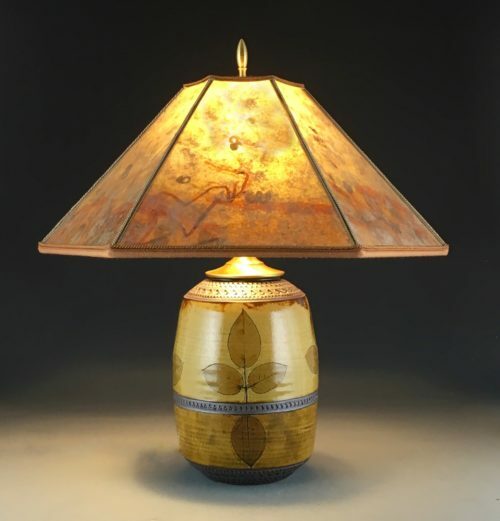 View cart “AMBER WAVES OXIDE SILO JAR, NANDENA” has been added to your cart. 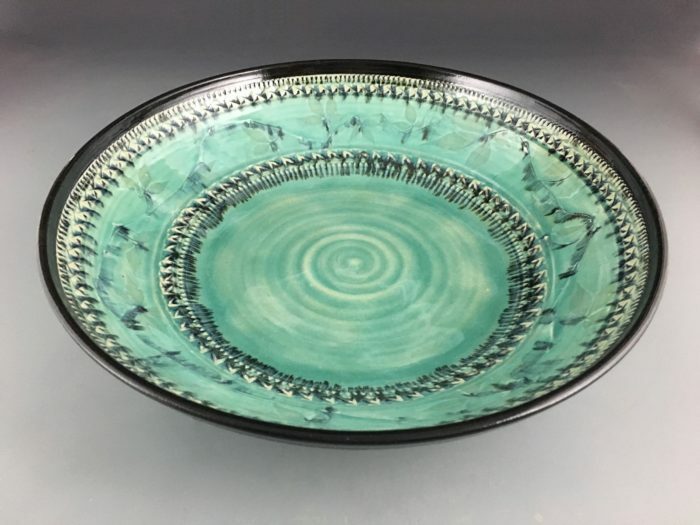 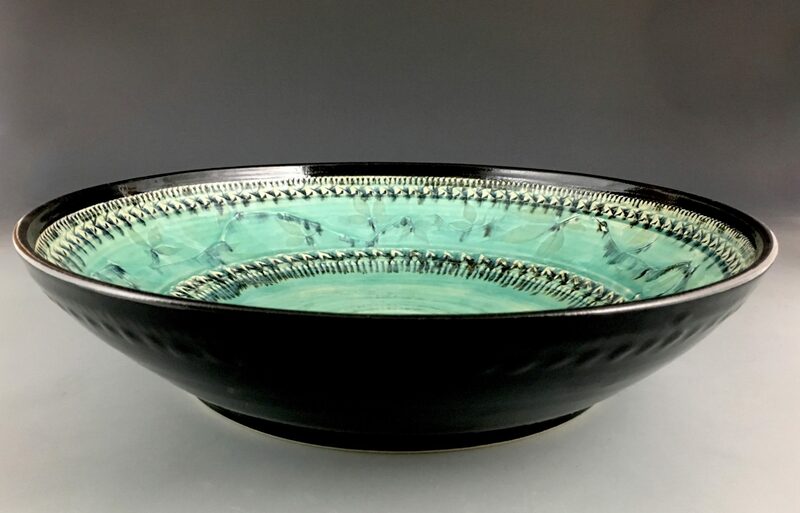 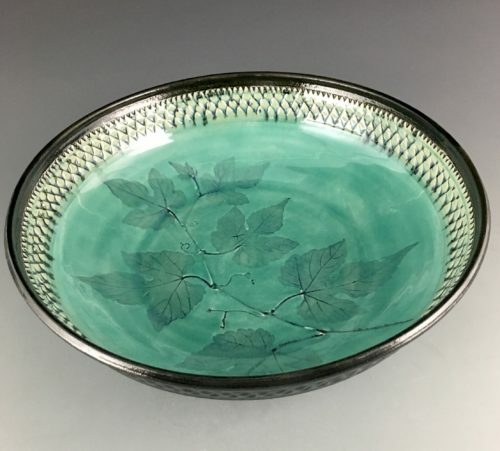 Large wide bowl in celadon and black glazes with a frieze of Virginia Creeper encircling the inside edge. 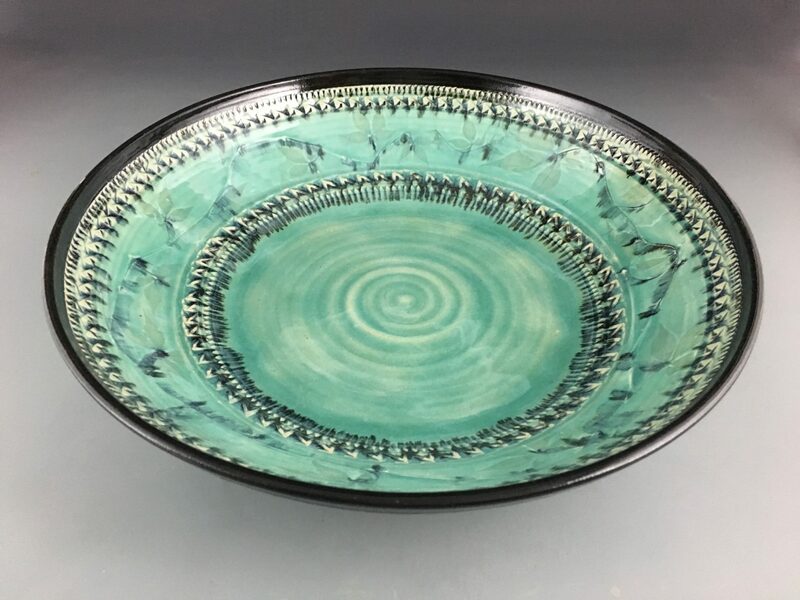 The copper celadon glaze runs in the firing causing a watercolor effect. 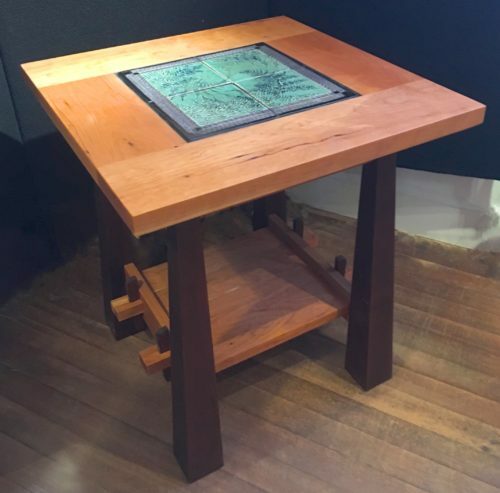 14″ diameter by 3.25″ high.